I am in NYC for a few days for work. 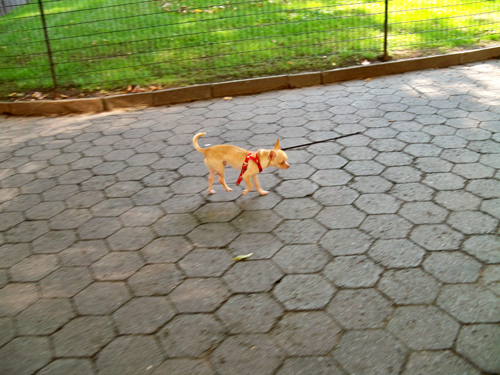 I always cut through Manhattan Square Park when I'm near there just to take a peek at the dog park. Look at this little squirt strutting along. Pip pip.